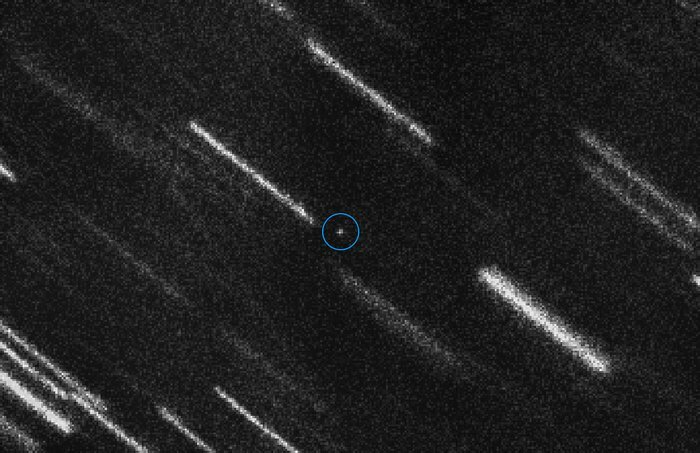 Near Earth Asteroid 2012 TC4 appears as a dot at the centre of this composite of 37 individual 50-second exposures obtained with the FORS2 instrument on ESO’s Very Large Telescope. 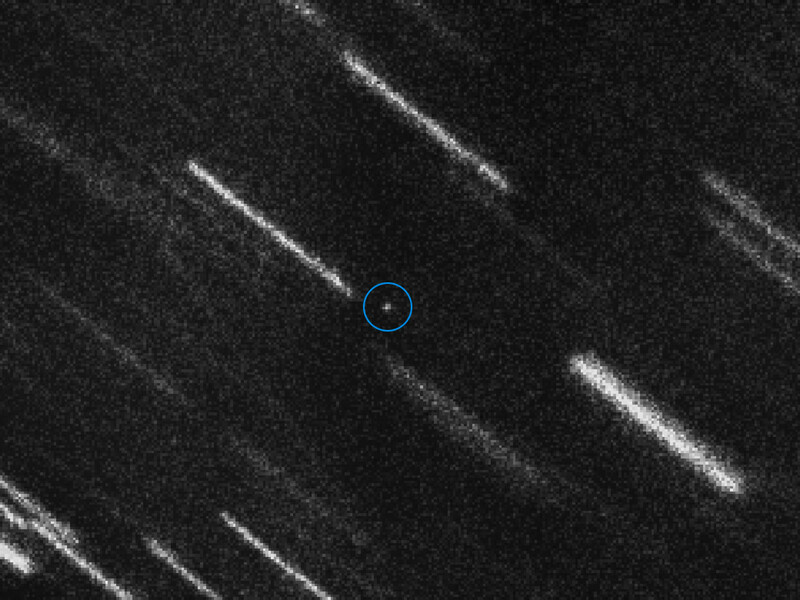 The asteroid is marked with a circle for a better identification. 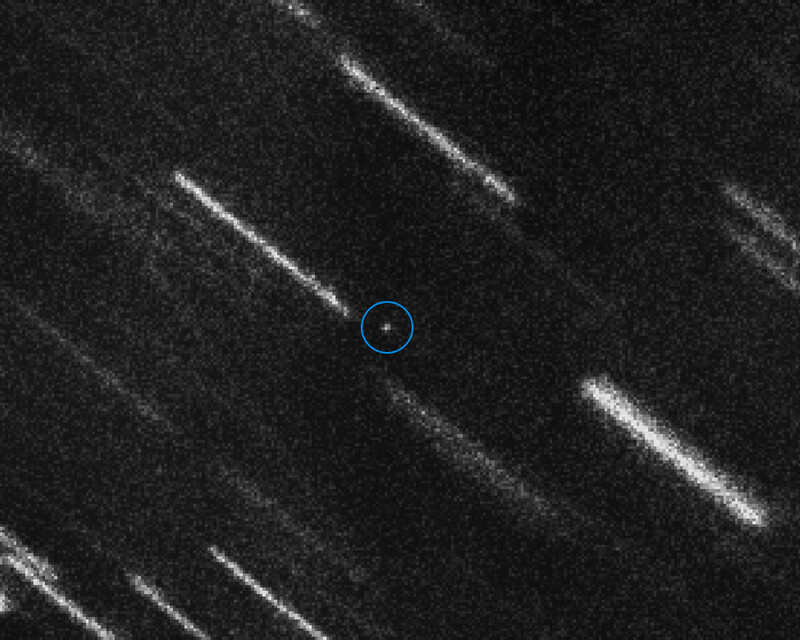 The individual images have been shifted to compensate for the motion of the asteroid, so that the background stars and galaxies appear as bright trails. At magnitude 27, this is the faintest Near Earth Asteroid so far measured.